21 december 2016. 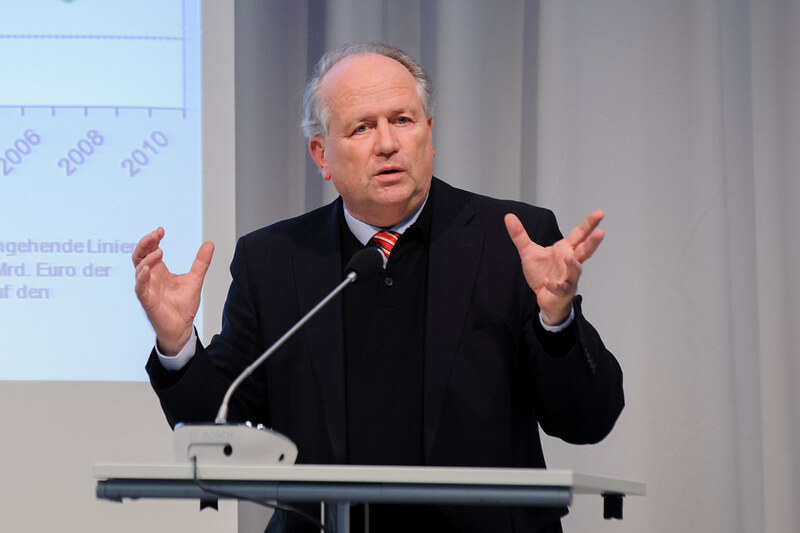 Heiner Flassbeck is one of very few Economics professors with a dissenting voice on mainstream neoliberal economics in Europe. For years he has been publishing articles and giving speeches and lectures against various neoliberal dogmas. In his latest book “Against the Troika – Crisis and Austerity in the Eurozone” (co-written by the Greek Costas Lapavitsas) he is taking them on again, with the focus being specifically on the Euro Crisis. The upcoming weeks and months could become crucial for the future of the Euro. In Italy a referendum about constitutional reform lead to the fall of the government, which potentially could lead to new elections in which anti-Euro forces could prevail. Italy’s banking system is on the verge of collapse. In France there is a slight chance that Marine LePen could win the next election and that would mean the end of the Euro. The reason these forces could win is the continuing high unemployment and deficits in all southern European countries. All this shows that the Euro-crisis is far from over. But how to solve it? Austerity measures clearly did not help, they actually exacerbated the crisis. Economie, EU, Eurocrisis, schuldsanering. Bookmark.